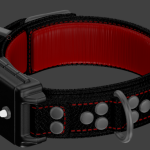 Because I’m clearly the kind of person to follow my own advice, I spent more time on material tweaking, and stumbled for a while on an issue involving the value to normal filter not quite behaving as I thought it would. 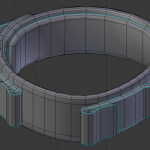 I also made the low polygon model for the “collar part” of this project, it is hovering around 2000 triangles which is probably way too much but I haven’t reached a point where I am going to care about optimisation too much… yet. 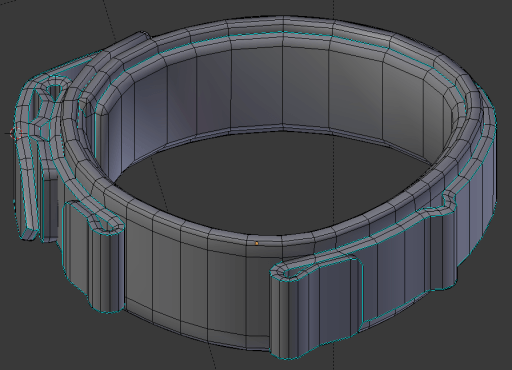 The shockbox is more or less the last part of the high poly model that I really need to finish at this point. 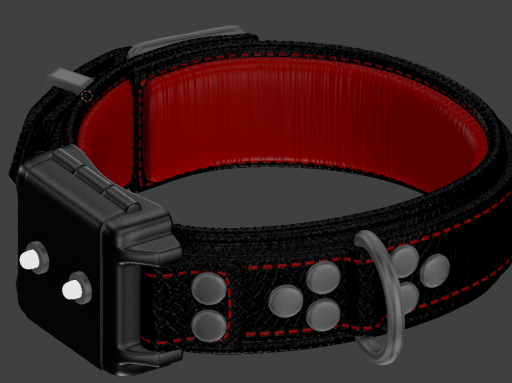 The reason I was pushing it for later was that I was not completely sure of what should be inside it, what would look good and be easy to identify as the frequency crystal on one side and the on/off switch for the bark feature on the other… I’m still drawing a blank on that one.